Four years after its introduction in the market, the Mercedes-Benz CLS has received its first facelift that includes subtle design changes and the addition of a new entry-level model, the V6-powered CLS 280. The four-door coupe’s exterior features a new radiator grille with two louvres instead of the previous four, larger mirrors with arrow shaped indicator lamps, new alloy-wheels, LED tail lights, trapezoidal exhaust tailpipes (and not oval as before) and finally a slightly re-designed rear bumper. 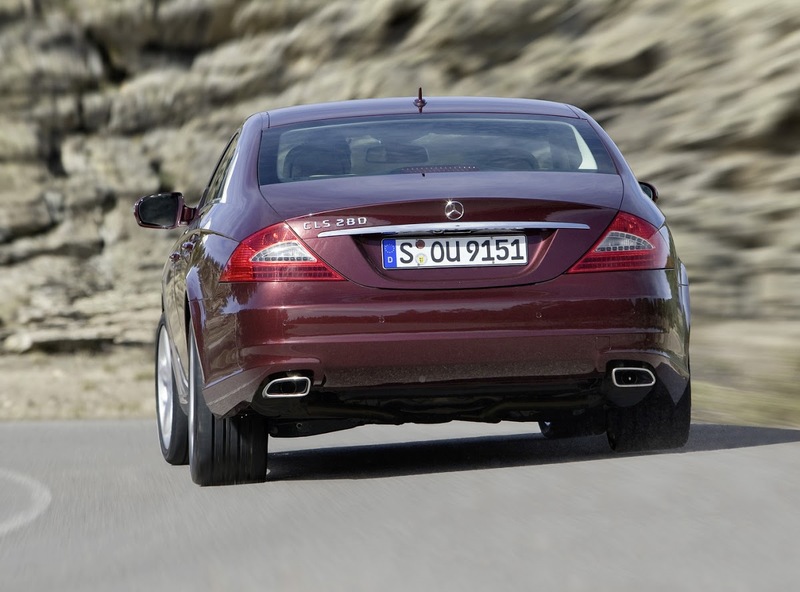 Stuttgart – Mercedes-Benz is making the CLS even more irresistible. This one-of-a-kind four-door coupé – the pioneer of a whole new automotive segment – has now been fine-tuned to give it added appeal. 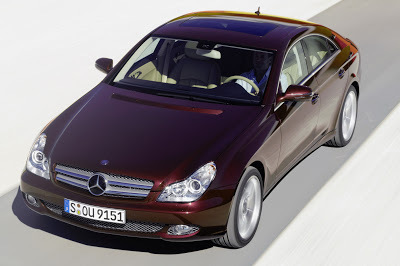 The new entry-level model version, the CLS 280 with its sophisticated V6 power unit, develops 170 kW/231 hp. Meanwhile, the flagship model in the range – the CLS 63 AMG with its 378 kW/514 hp AMG 6.3-litre V8 engine – now comes with 19-inch AMG light-alloy wheels plus a new AMG sports exhaust system. 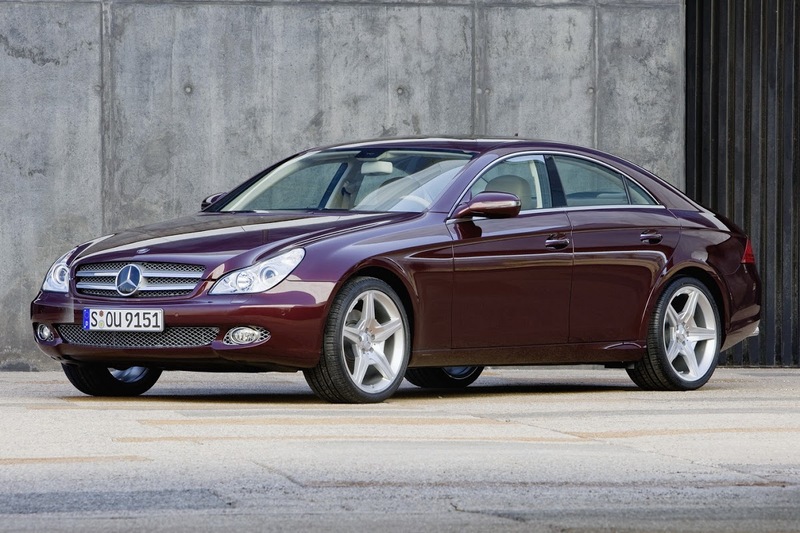 Understated but masterly neatly sums up the result of the restyling programme for the CLS. At the front, it is the modified radiator grille that stands out, with two louvres now instead of the previous four. The diamond-shaped, three-dimensional grilles painted in atlas grey that cover the air intakes project an even greater air of self-assurance as well as adding further emphasis to the vehicle’s width. The exterior mirrors have also been given a new look. The LED side indicator lamps that are built into them are arranged in the form of an arrow to produce a most eye-catching effect, especially in the dark. The mirror surface has furthermore been enlarged by 32 per cent to afford a clearer view of the traffic behind and thereby boost active safety. 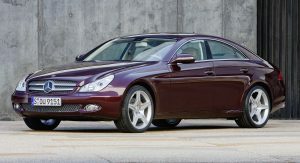 The side view is dominated by new, attractively styled light-alloy wheels, measuring either 17 inches (CLS 280, CLS 320 CDI and CLS 350 CGI) or 18 inches (CLS 500) in diameter. When viewed from the rear, the new-generation CLS makes its mark with a new rear apron, new tail lights, as well as modified tailpipes. The centre section of the rear bumper now drops down further, while the additional light-catching contour running along it adds to the impression of breadth. This is further emphasised by the exhaust tailpipes, which are trapezoidal in shape, and not oval as before. LED technology is now deployed for the tail lights: the brake lamps, tail lamps and indicator lamps all make use of the extra-fast-reacting light-emitting diodes. Just like the side indicators in the exterior mirrors, the rear indicators look like arrows when they light up, which is particularly striking in the dark. 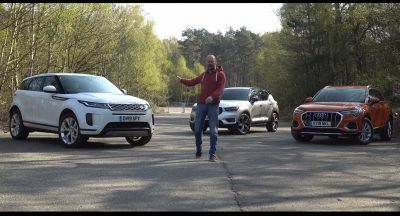 The same is true of the optical fibres at the side, which are always activated whenever the low-beam headlamps are switched on.A new deactivation function for the low-beam headlamps when the ignition is switched off helps to optimise energy management. The new bodywork details harmonise perfectly with the multi-award-winning design of the CLS and make the four-door Coupé always look as if it is about to dash off. Almost four years on from its world premiere, the electrifying, muscular lines of the trendsetter are as unique and as unmistakable as ever. 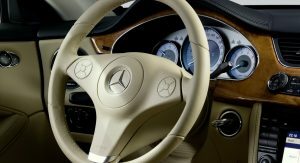 Great attention to detail was paid while updating the interior too: modifications include a restyled leather steering wheel in a three-spoke design with multifunction buttons, as well as a new-look instrument cluster, whose white dials now contrast distinctly with the chased surface of the backplate. The previous matt laurel colour scheme has been replaced with new chestnut wood trim elements. The CLS features the new NTG 2.5 telematics generation, whose high-performance componentry combines straightforward operation and logical menu navigation with flawless in-vehicle entertainment. 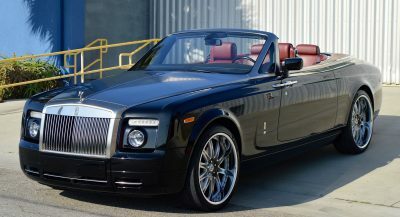 Features include speed-sensitive volume control, a keypad for entering telephone numbers and radio frequencies, an MP3-compatible CD and DVD player, as well as a Bluetooth interface which can establish a wireless connection between a mobile phone and the vehicle’s hands-free system. The Audio 20, Audio 20 CD with CD changer, Audio 50 and Audio 50 APS with DVD changer and LINGUATRONIC voice control system have now been upgraded to a 5-inch colour screen. The COMAND APS comes with a high-resolution6.5-inch colour display, LINGUATRONIC for audio, navigation and telephone calls, a music register for storing audio files, plus an SD memory card slot. The CLS 280 is equipped with a new entry-level engine, a sophisticated V6 powerplant with a displacement of 2996 cc developing a peak output of 170 kW/231 hp and a maximum torque of 300 Newton metres. 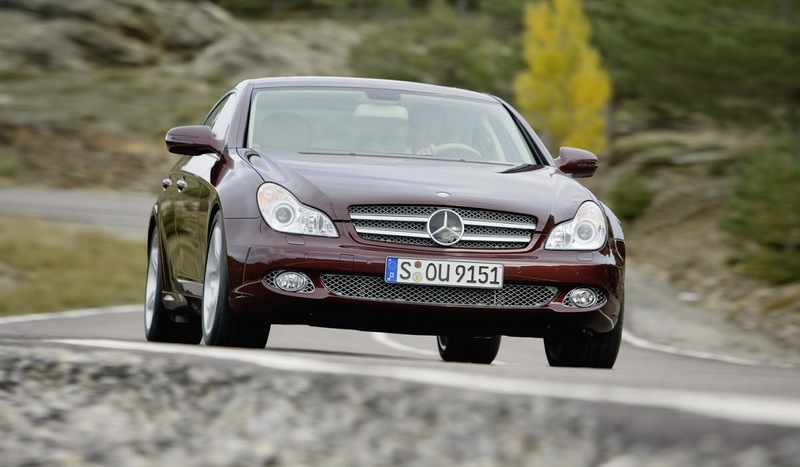 This propels the CLS 280 from standstill to 100 km/h in 7.7 seconds and gives it a top speed of 245 km/h. Combined fuel consumption on the NEDC driving cycle is 9.8 – 10.0 litres per 100 kilometres. 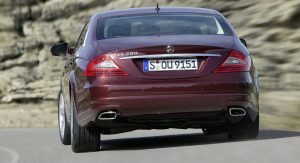 The second V6 petrol model in the range is the CLS 350 CGI. 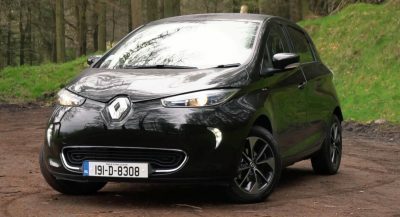 Its advanced six-cylinder engine featuring piezoelectric direct injection and spray-guided combustion generates 215 kW/292 hp and returns impressively low fuel consumption figures of 9.1 to 9.3 litres per 100 kilometres (NEDC combined). Under the bonnet of the CLS 500 is a V8 drive unit with a displacement of 5.5 litres and a maximum output of 285 kW/388 hp. 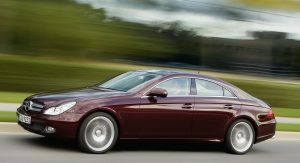 What makes the CLS 320 CDI with its 165 kW/224 hp V6 diesel engine especially thrilling is the formidable torque of 540 Newton metres on the one hand and, on the other, low fuel consumption of just 7.6 – 8.1 litres of diesel for every 100 km (NEDC combined). 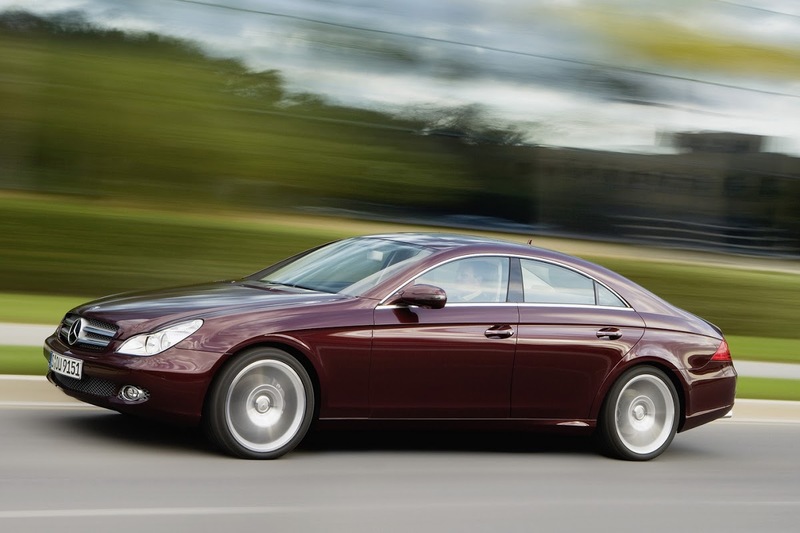 All CLS models come fitted with the 7G-TRONIC seven-speed automatic transmission as standard. In manual shift mode “M”, the driver is able to shift through the gears using shift paddles on the steering wheel if desired. 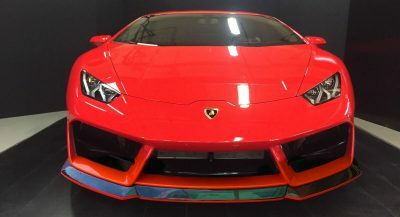 This shortens the 0-100 km/h acceleration time by 0.2 seconds.